Bangkok Cha-Da is located on Rachadapisek Road in the bustling heart of Bangkok's business, commercial and entertainment area. This city hotel is conveniently situated close to public transport links allowing ease of access to other areas of the city. Just a 10 minute subway ride away guests will find The Queen Sirikit Convention Centre, Sukhumvit Road, Silom Road and the Weekend Market.This elegant hotel's bright exterior makes it a shining beacon amidst the lively city. The beautifully-decorated guest rooms feature modern Thai style evoking a peaceful atmosphere where guests can relax and unwind at the end of the day. Guests can enjoy high-quality dining in the exquisite restaurant which serves a mix of delightful Thai and international dishes to tempt even the most discerning traveller. This centrally located hotel forms part of a complex and is linked to the largest shopping centre in Bangkok where guests will discover over 200 different boutiques and other special shops. In addition, there is a large selection of international and local fast food chains, Thai restaurants and cinemas. This completely renovated hotel offers a café, a bar and a pub. Further facilities include a nightclub and an air-conditioned à la carte restaurant. 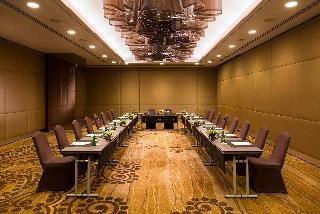 Business guests may take advantage of the conference room and public Internet terminal. Those arriving by car may use the car park. The welcoming rooms come with satellite/cable TV, a minibar/ fridge and a king-sized bed. On payment of an additional fee, guests may make use of the sauna or pay a visit to the in-house gym. Guests may select their meals from ample buffets, lunch and dinner may alternatively be taken à la carte. 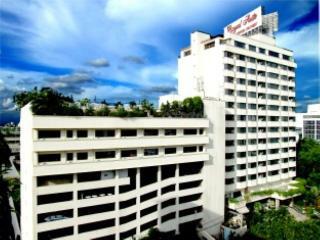 The hotel is located on Ratchadapisek Road. It is 20 min drive away from Bangkok's international airport and many world-class golf courses. 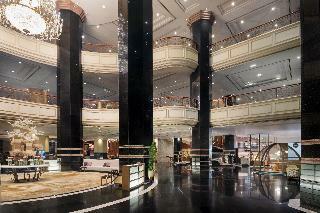 Huai Kwang MRT, convention centre and prime Bangkok tourist attractions are minutes away. This city hotel offers guest rooms and suites with an emphasis on comfort, privacy and convenience. 4 Executive Club floors offer an exclusive Club Lounge and a gym. 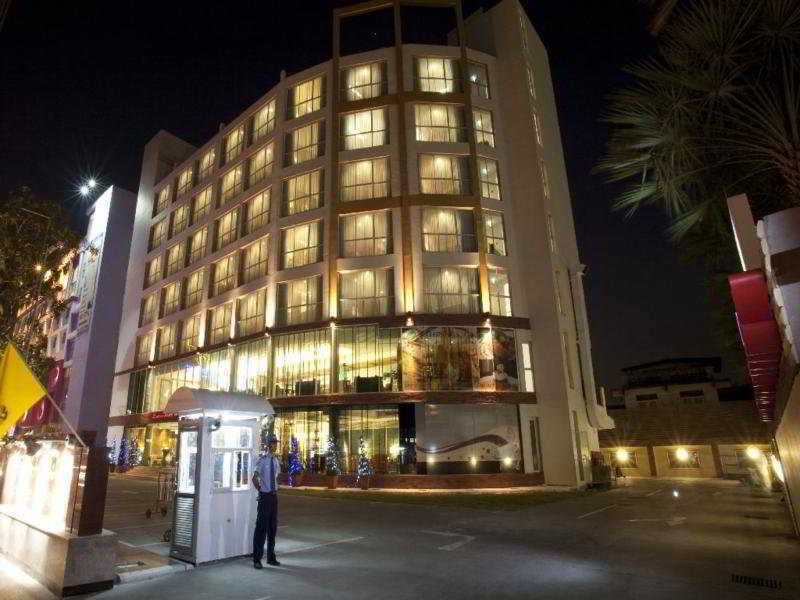 The hotel is air-conditioned and has a lobby, a safe and currency exchange facilities. Bar, dining, conference and parking facilities are available, as well as WiFi and laundry services. All rooms have either one double or two single beds. They are fully - equipped and feature executive tables with computer socket and Internet access, computerized bedside panel and air conditioning. A swimming pool, solarium and a range of massage and spa treatments are also offered. 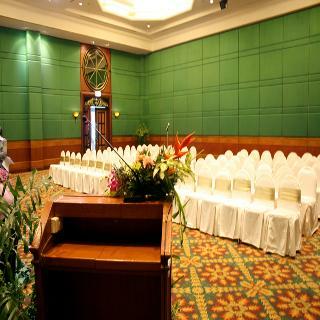 The hotel is located in central Bangkok, close to the Ratchada district. It is just 15 minutes by car from the Chatuchak Weekend Market, Central Plaza Rama and Don Muang International Airport is roughly 25 km away. This boutique hotel has an outdoor pool and a fitness centre. Free Wi-Fi is provided. Colourful rooms feature contemporary decor and private balconies. Some rooms have tiled flooring and daybeds. Each room is equipped with air conditioning and flat-screen TV. A tea/coffee maker and minibar are included. Meals are served at the restaurant, which has an outdoor patio. The restaurant features wooden flooring and unique design pieces. Services offered at the reception include a 24-hour front desk, 24-hour room service and free parking. 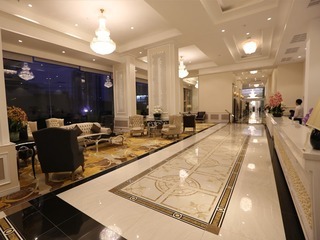 The Bazaar Hotel is a monumental property accommodating 800 brand new hotel rooms, located on Ratchadaphisek road, a flourishing business and entertainment district of Bangkok. 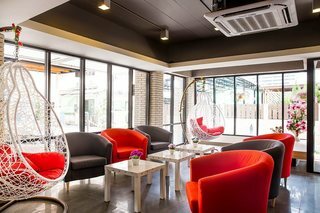 Conveniently situated between both Lat Phrao and Ratchadaphisek MRT subway stations, atop Suan Lum Night Bazaar Ratchadaphisek shopping and entertainment complex, the hotel has plenty to offer. With a fitness center and swimming pool (a separate Water Park coming soon!) multiple dining options, massage services, countless shops, a 24-hours supermarket, a food street, event halls, and The Bazaar Theater which is a 500-seater home to the Playhouse Magical Cabaret Show, The Bazaar Hotel can truly be considered a destination in itself. 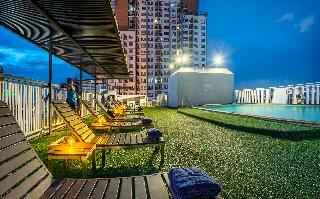 This hotel is situated on Ratchadaphisek Road, one of Bangkok's commercial, shopping and entertainment areas. Its superb location provides absolute convenience with easy access to the MRT station just 120 metres away (Sutthisarn Station), 900 m from Department of Export Promotions, 10 minutes by car or MRT to the Jatuchak weekend market and 10 minutes by car or MRT to Makkasan Station where the airport express line or city line leaves from. Don Muang international airport is approximately 14 km from the design hotel and Suvarnabhumi International airport is around 23 km away.The hotel is designed with safety and comfort in mind with a smart décor. The air-conditioned eco hotel offers 65 spacious and affordable accommodation units with fully equipped facilities and welcomes guests in a lobby with 24-hour reception and check-out services, as well as lift access. Hotel amenities include 24-hour room service, babysitting and limousine services, a games room, cafe, bar and restaurant. Guests may also take advantage of the conference facilities, WLAN Internet access, room and laundry services, and a car park. This hotel is ideal whether guests are travelling on holiday or business.Each guest room features unique and modern amenities, with an en suite bathroom with shower, bathtub and hairdryer, a double or king-size bed and individually regulated air conditioning. Other in-room amenities include a direct dial telephone, satellite TV, Internet access, a safe, minibar and tea and coffee making facilities.The hotel provides a games room and pool table beside the restaurant.The Fusion Restaurant offers international cuisine which is open daily for a buffet breakfast, and à la carte lunch and dinner. 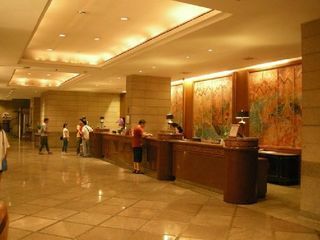 The speciality lobby bar serves oriental dishes, beverages, light snacks, bakery items and afternoon coffee or tea. This hotel is conveniently located by the main road, providing easy access to the city's major business centre, shopping arcades and beautiful public parks. A variety of entertainment and dining venues can be found within walking distance, making the residence suitable for both long and short-term stays. It is about 700 m from Major Avenue shops, around 700 m from Major Cineplex Ratchayothin and some 5 km from the Central Plaza Ladprao, Chatuchak Weekend Market and Lat Phrao metro station. The Esplanade Cineplex is approximately 7 km away, while Don Muang International Airport is about 10 km and it is some 35 km to Suvarnabhumi International Airport.This hotel comprises a total of 130 studio rooms and 10 2-bedroom suites. Facilities on offer to guests at this air-conditioned establishment include a lobby area with a 24-hour reception and check-out service and a hotel safe. There is a café, a bar and a breakfast/dining room and guests will appreciate the conference facilities and free high-speed wireless Internet access. They can also take advantage of the room and laundry services and there is parking available for those arriving by car.The hotel provide modern and functional accommodation with the convenient services of a hotel. All come with a private bathroom with a shower and a hairdryer and offer a king-size or double bed. They are equipped with a direct dial telephone, satellite/cable TV, a radio, Internet access and a safe. They have a kitchenette with a minibar/fridge, a microwave and tea and coffee making facilities. Furthermore, an ironing set and individually regulated air conditioning units are provided in all accommodation as standard. The hotel also all come with a terrace. Situated in the heart of Bangkok, this stylish property features a prime situation in one of the newly emerging business, leisure and entertainment districts. Major shopping complexes and exciting entertainment centres are easily accessible from the hotel. Don Muang Airport is just 18 km away while Suvarnabhumi International Airport is 30 km from the establishment. The property comprises a large choice of well-equipped guestrooms and suites. All are tastefully appointed and refined with Thai artefacts, each featuring a large choice of contemporary amenities to make guests’ stay even more comfortable. Accommodations are further appointed with an en-suite, marble bathroom with a separate shower and a bathtub. Guests will appreciate the extensive range of onsite dining options, as well as the stunning spa area, ideal to relax after business or sightseeing.